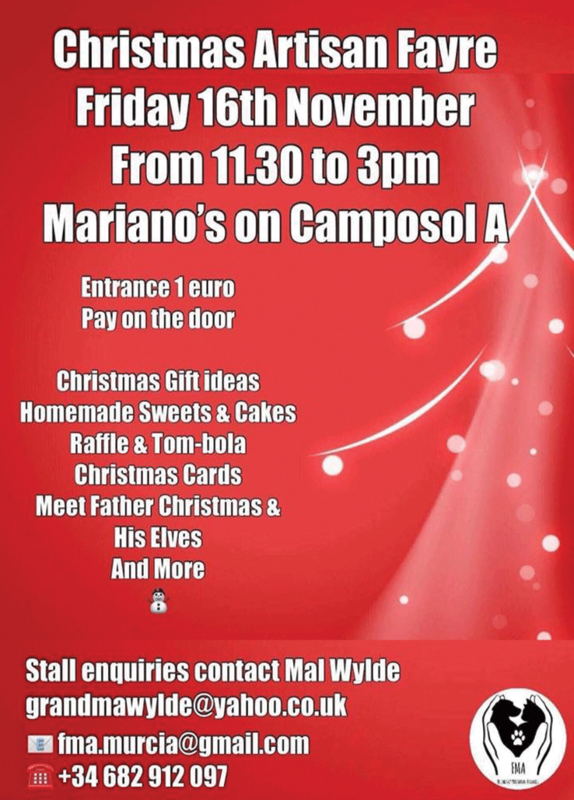 Friends of Mazarrón Animals would like to say a big thank you to everyone who has volunteered, fostered, donated & attended an event. 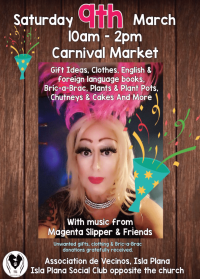 As a small charity your support really makes a difference. Funny little Iker is a ten year old pug cross, who is a very lucky boy. Things could have turned out very differently for this little old boy, but luckily fate was on his side. Lisa was visiting a local Perrera on other business and happened to spy Iker in the queue where he was about to be surrendered by his owners. To cut a long story short, Iker was immediately taken into the care of FMA and straight into foster. 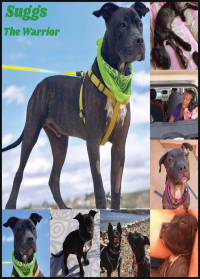 He was so lucky to have been saved that day, as it has become apparent that he has health issues which would not have been treated where he was heading. He has now been castrated and a benign tumour was also removed. He is receiving treatment for neglected eye and ear infections, but these conditions should resolve themselves. He is also overweight. Since Iker has been in foster he has come out of himself, playing with toys and walking much better. He really is a sweet little thing. 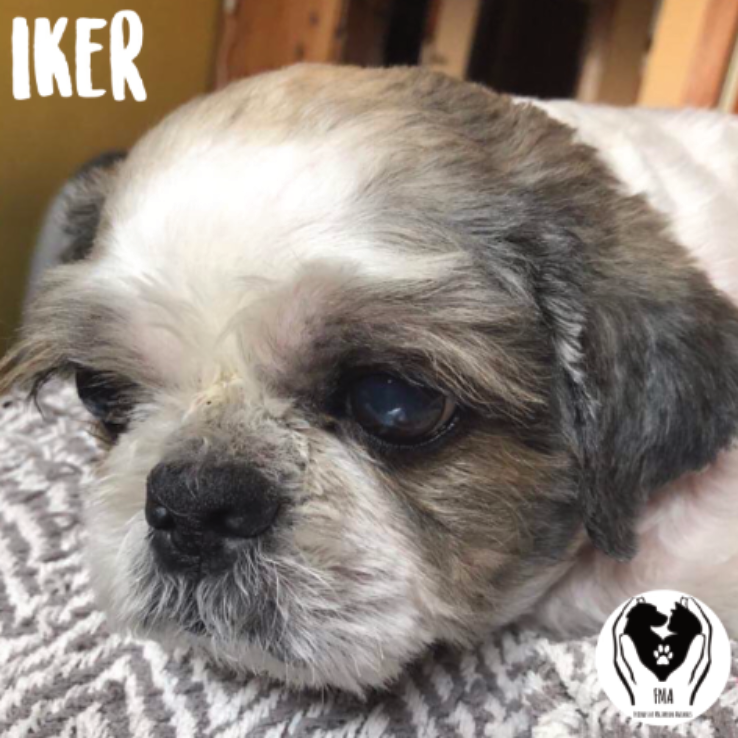 If you would like some more information, or would like to contribute to Iker’s ever-increasing vet bill, please contact us. Being in the right place at the right time has never applied more fortuitously than to this little dog. 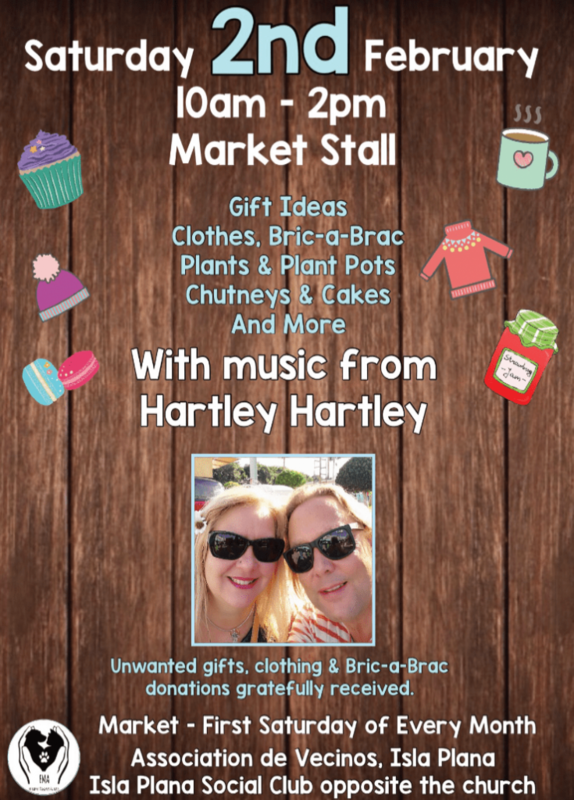 Monthly Market – 2nd February, with music from Hartley Hartley. 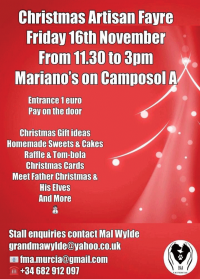 Lots of handmade items, home cooked goodies, plants to prepare your garden for spring & bargains. 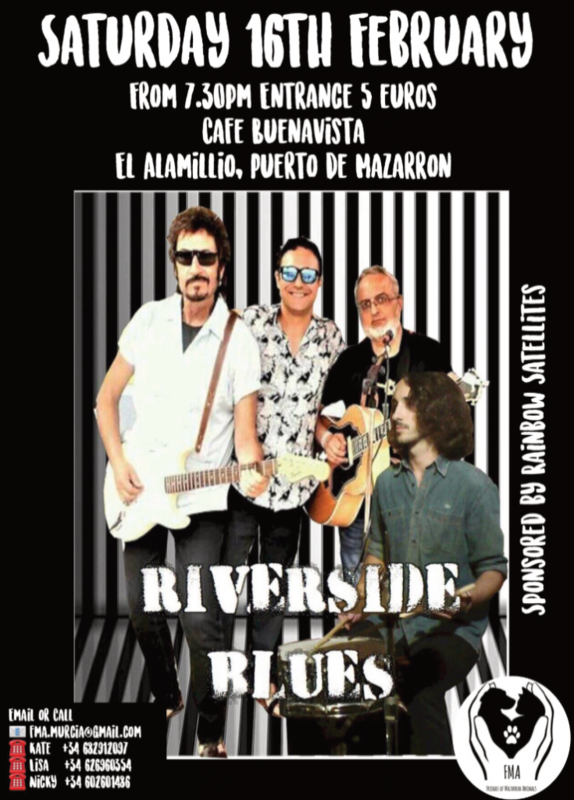 Riverside Blues Band – Saturday 16th February @ Café Buenavista – entrance just 5€. 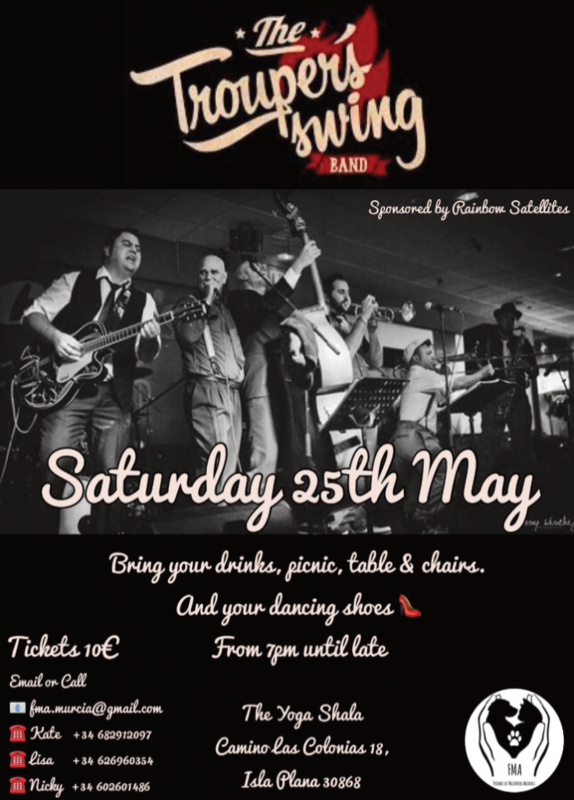 Thinking ahead we have the fabulous Troupers Swing band booked for our pre-summer event on Saturday 25th May. 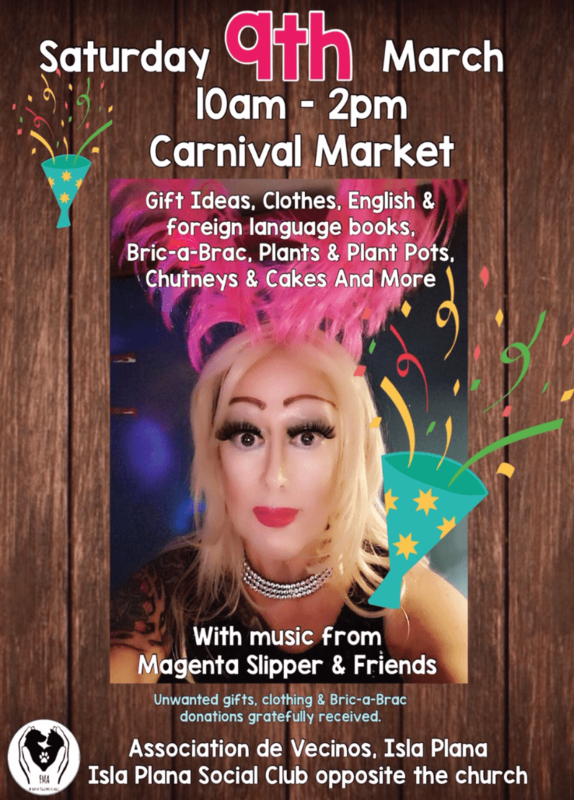 Don’t miss out, book your tickets early to avoid disappointment! If you would like more information about any of the events or ways you can help & be part of the solution, please contact FMA.murcia@gmail.com or visit our Facebook page Friends of Mazarrón Animals.